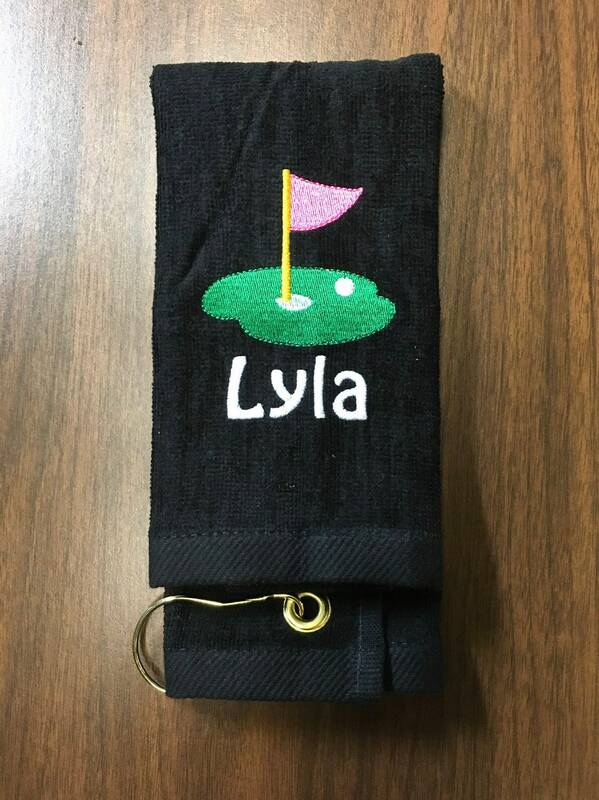 List lettering colors and text in the text box on your order when you check out.Custom embroidered golf towel. 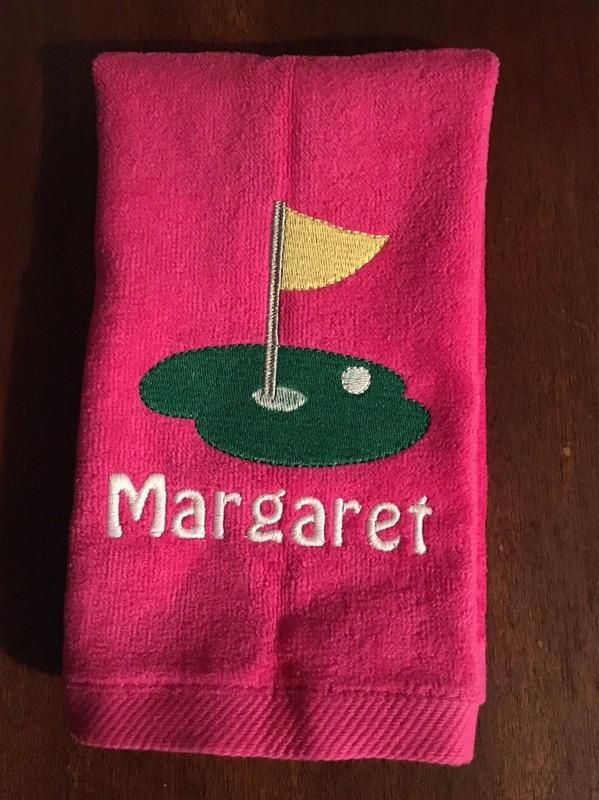 This listing is for one embroidered and personalized golf towel. 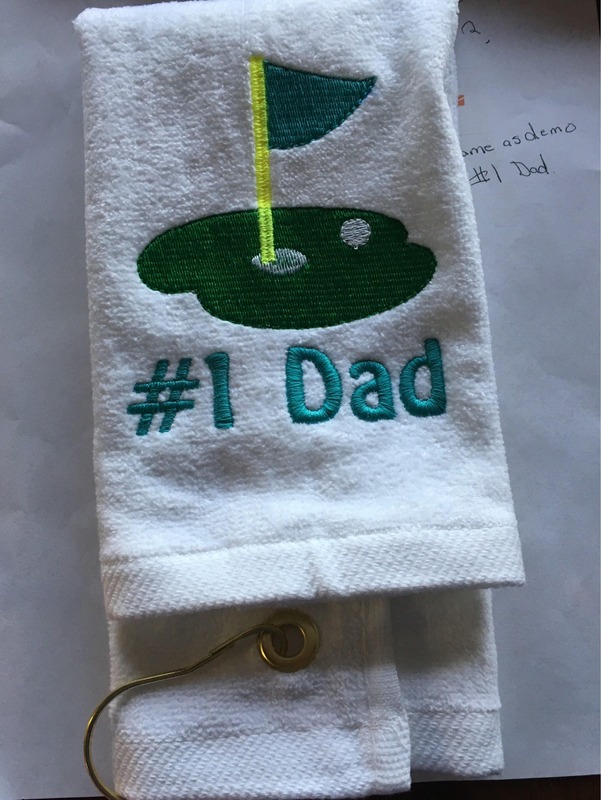 Towels are terry velour with hook in the corner. 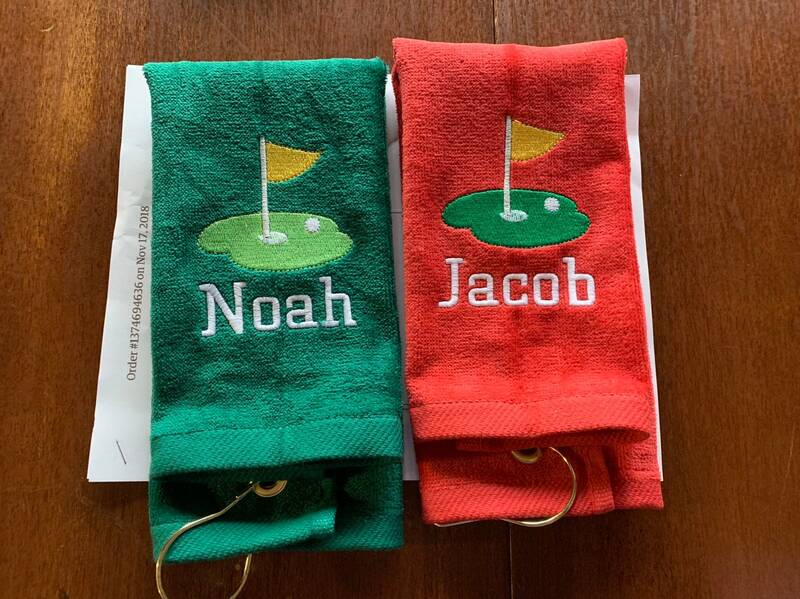 Choose towel color and size in the drop menus. 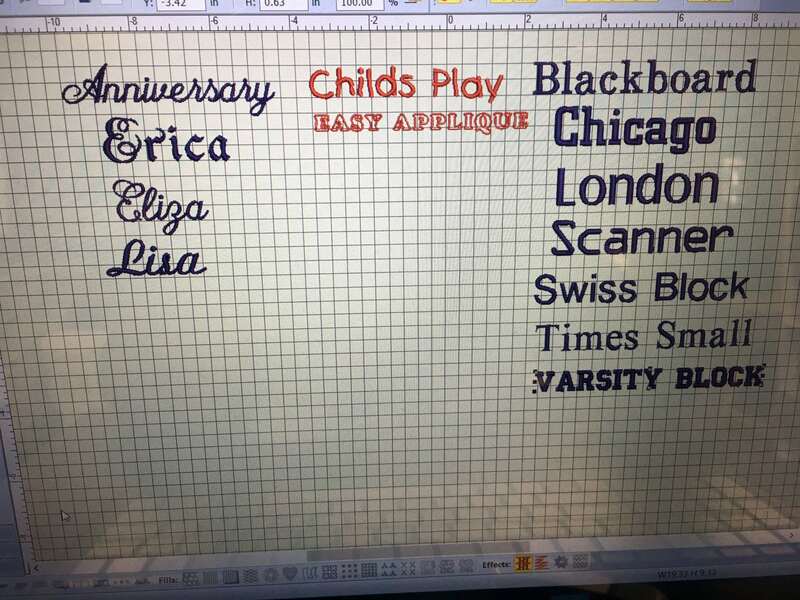 You list it I'll stitch it. 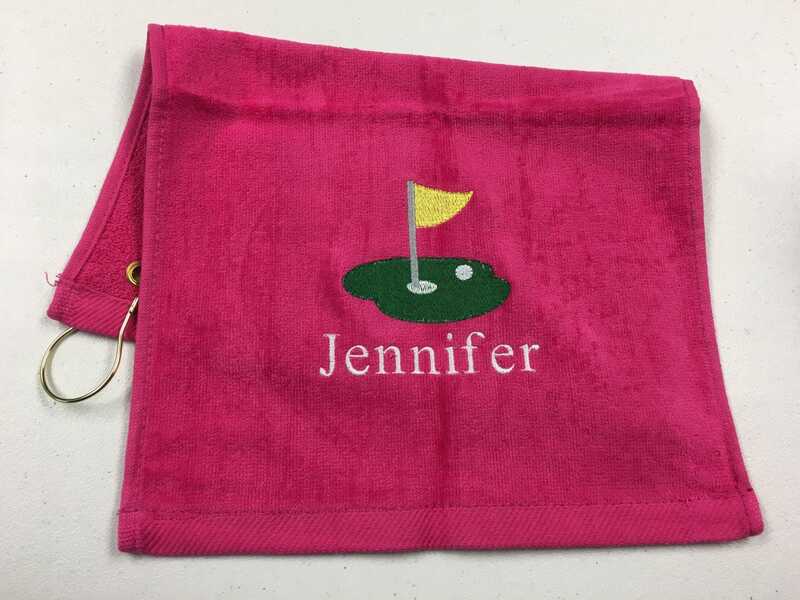 ***In note to LindaKaysCreations on your order when you check out please list your information. 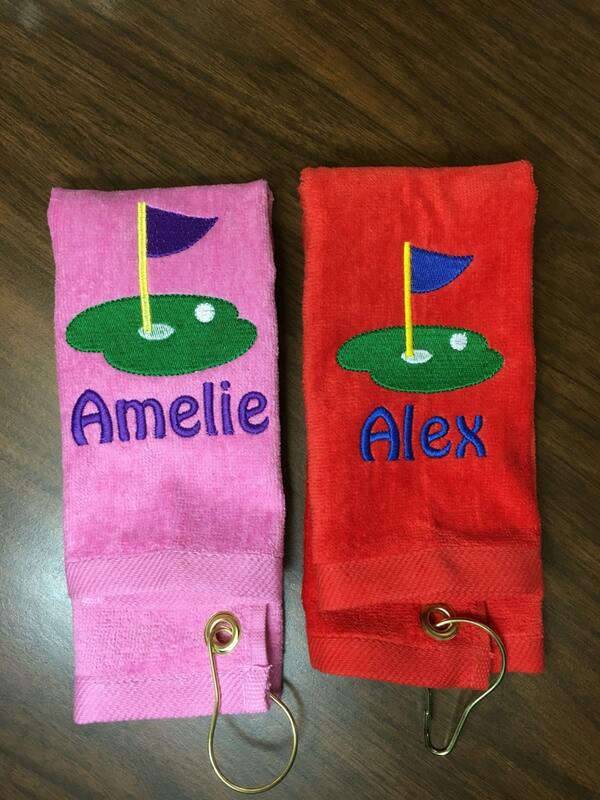 4. color for flag or club grips or other design and color changes. 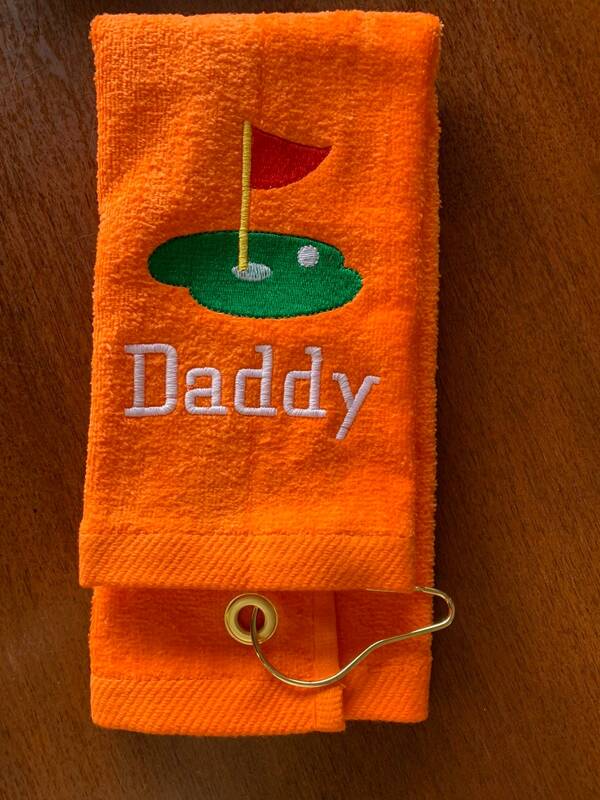 This listing is for one golf towel. 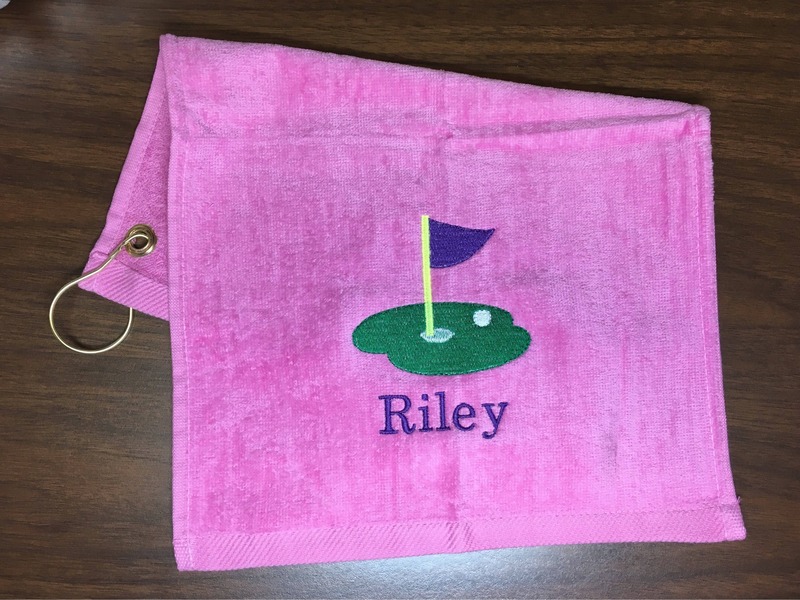 Came exactly as pictured and quality was well made, bright colors and great stitching! Would order again. Thanks so much! My sister-in-law loves it.